The Atlantic hurricane season is officially from 1 June to 30 November, with the season’s peak occurring between August-October. 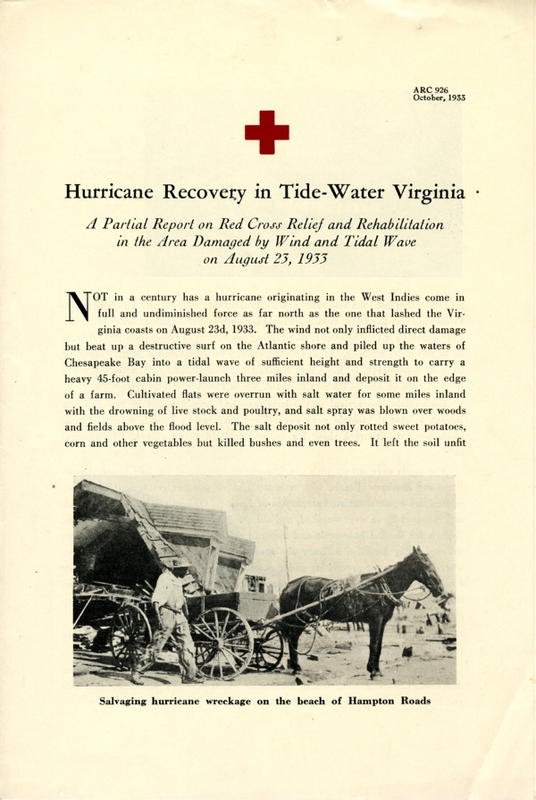 During the very active hurricane season of 1933, the Chesapeake-Potomac Hurricane hit coastal Virginia on 23 August 1933, causing catastrophic damage. The storm was first noticed when it was east of the Windward Islands. By mid-August, the tropical storm was 900 miles east of Puerto Rico and within 150 miles of Bermuda. On August 23rd, the storm, now a hurricane, changed track and the eye passed over Norfolk, Virginia, and moved north. Some of the lowest pressures ever measured in Virginia occurred with this hurricane. The affected area covered large parts of Norfolk, Princess Anne, Northampton, Accomack, Elizabeth City, York, Gloucester, Mathews, and Lancaster counties. Northumberland, Richmond, and Westmoreland counties were also affected to a lesser extent. The hurricane caused $27.2 million in damage and fewer than 20 deaths in the Commonwealth. 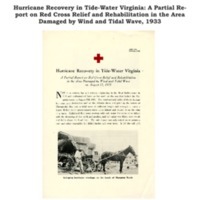 Citation: Hurricane Recovery in Tide-Water Virginia: A Partial Report on Red Cross Relief and Rehabilitation in the Area Damaged by Wind and Tidal Wave on August, 23, 1933, Mathews County Red Cross Records (Barcode 1184542), Library of Virginia. Social Media Spin: Rewrite notifications of this hurricane in 280 characters or less, using hashtags, as if it was being reported on today. Current Connections: Compare this image, and others from the blog post with coverage of Hurricane Isabel or Katrina. What differences do you see? 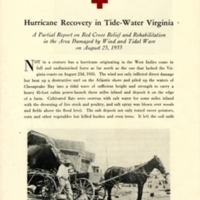 “Hurricane Recovery in Tide-Water Virginia: A Partial Report on Red Cross Relief and Rehabilitation in the Area Damaged by Wind and Tidal Wave, 1933,” Document Bank of Virginia, accessed April 21, 2019, http://edu.lva.virginia.gov/dbva/items/show/79.